Simply Southern Sandee: Welcome to the ODBD December New Release! Welcome to the ODBD December New Release! 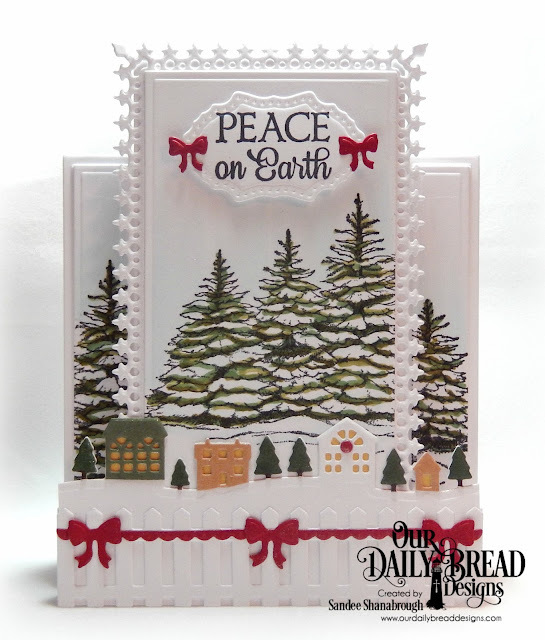 December Release from Our Daily Bread Designs! 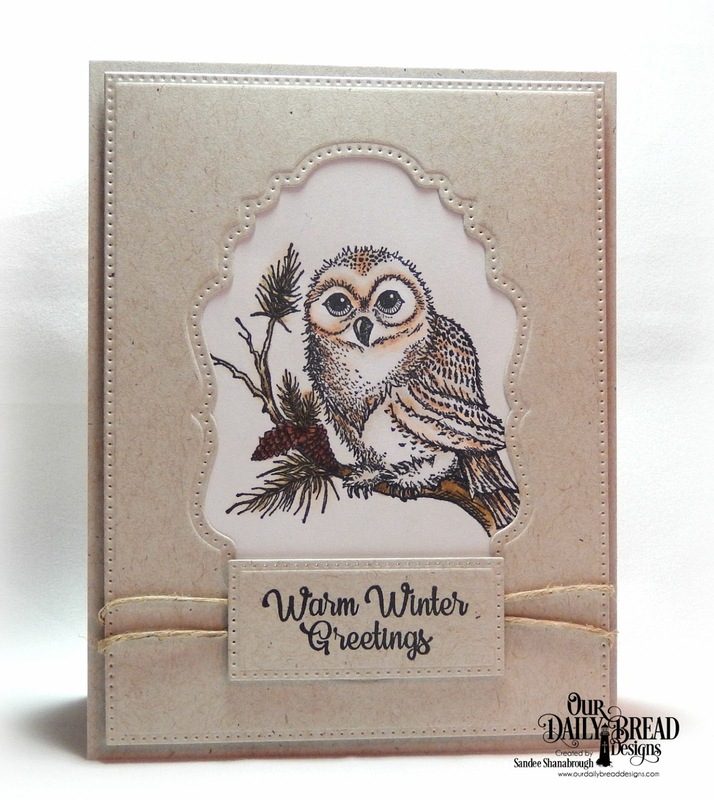 My first project above features the Winter Greetings set. I colored the owl with copics. I made a frame with Pierced Rectangles and the new Double Pierced Vintage Label dies. And then used another Pierced Rectangle for the sentiment. I created this card with the Center Step A2 die and the Center Step A2 Layers dies along with the new set called Peaceful Wishes. I cut out a Lavish Layer, cut it down and pieced it together to fit the center panel. I created a little 'village' in front of the tree image with the Neighborhood Border, Fence, Bitty Borders and Christmas Door Greenery. The sentiment is cut out with a Double Pierced Vintage Label. The tinier bows are from the Windowsill Candles dies. The tiniest red circle on the white house is the inner part of the hole from a Mini Tags and Labels die. 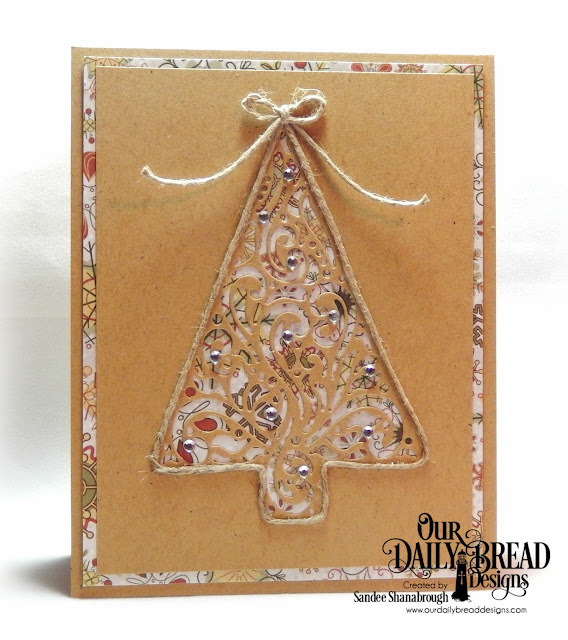 A simple little rustic card made with the new Flourished Tree Inset and Retro Christmas Paper. I used the twine to outline the tree for a little bit of interest to this simple card.